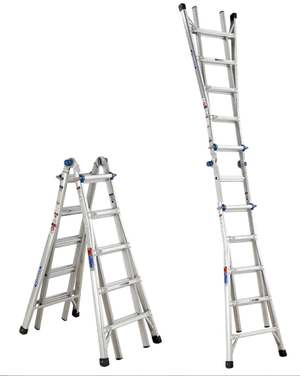 Strong 6ft fiberglass and aluminum step ladders for multi-purpose needs. Weight capacities vary. Rental includes one ladder only. These rentals require a small security deposit of $30 to be returned once rental is returned in good working condition.